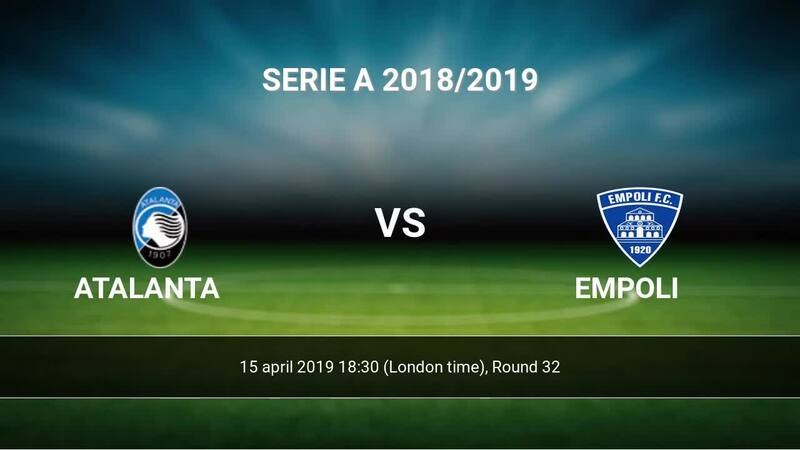 The match Atalanta-Empoli Serie A will start today 18:30. Referee in the match will be Gianluca Manganiello. Team Atalanta is located in the middle of the table. (6 place). Atalanta in 5 last matches (league + cup) have collected11 points. From 6 matches no lost a match. Players Atalanta in Serie A with the highest number of goals: Duvan Zapata 20 goals, Josip Ilicic 11 goals, Alejandro Daro Gomez 6 goals. 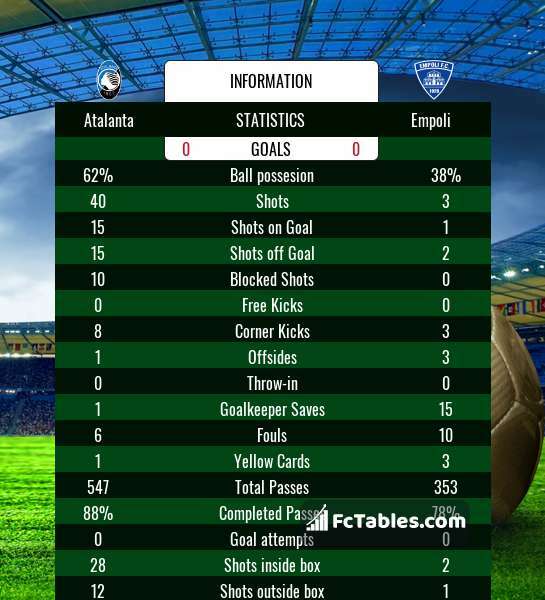 Players Duvan Zapata 5 assists, Josip Ilicic 7 assists, Alejandro Daro Gomez 9 assists will have to be very well guarded by defenders Empoli, because they have the most assists. Injuries in the team Atalanta: Rafael Toloi, Marco Varnier. Team Empoli is in the releagtion zone of the table. 18 position. Form team looks like this: In the last 5 matches (league + cup) gain 6 points. Leading players Empoli in Serie A is: Francesco Caputo 14 goals, Rade Krunic 5 goals, Giovanni Di Lorenzo 3 goals. Players Francesco Caputo 3 assists, Rade Krunic 6 assists, Giovanni Di Lorenzo 2 assists will have to be very well guarded by defenders Atalanta, because they have the most assists. In Empoli not occur in the match due to injury: Lorenzo Polvani, Antonino La Gumina, Kevin Diks. Direct matches: usually ended with winning of Atalanta. 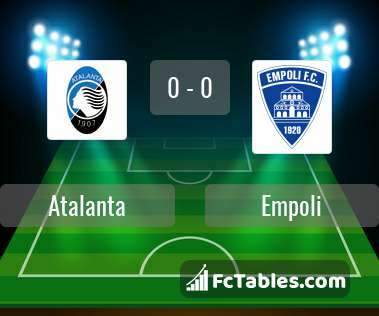 Balace of both teams games are: 5 won Atalanta, 4 wins Empoli, 7 draws. In 7 matches the sum of the goals both teams was greater than 2.5 (Over 2.5). On the other hand, 9 matches teams scored more than 1.5 goals (Over 1.5). In 7 matches the both teams have shot at least one goal.